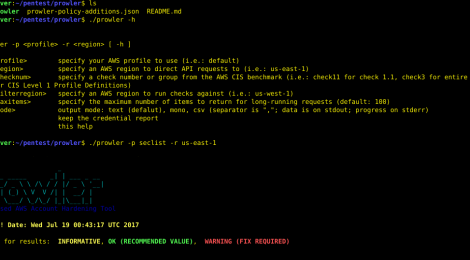 Browse: Home / prowler – AWS security assessment, auditing and hardening tools. For a comprehesive list and resolution look at the guide on the link above. ← Hummelflug – a utility for arming (creating) many bumblebees to attack (web applications).